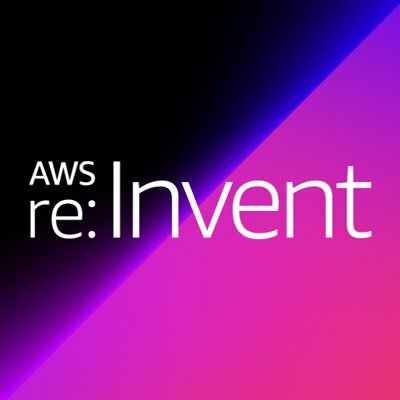 AWS re:Invent 2018 is in full swing this week with industry leaders and attendees coming together to talk about how to improve productivity, security and more in the cloud. Already, Amazon has made big developer announcements such as new IoT capabilities and a new robotics application development platform. In addition to the Amazon Web Services news, there are a bunch of other vendors at the conference looking to give attendees new ways to do more with the cloud. Sumo Logic and AWS announced new solutions for gaining deeper operational and security insights across modern apps and cloud environments. Additionally, Sumo Logic named AWS as its preferred cloud provider for developing solutions that enable users to build, run and secure modern apps with operational and security analytics and global availability. Sumo Logic also announced a new cloud SIEM solution to democratize security analytics, new additions to its Cloud Flex licensing model, and announced it will act as a global data steward to provide a machine data analytics solution. Attunity announced a new streaming data pipeline solution to support real-time data streaming from major enterprise databases, mainframes, and apps. According to the company, this new level of support on AWS will help improve operational efficiency, increase ROI, provide transactional data for analytics in near real time, provision trusted data sets, establish best practices and adapt to changing technologies. MongoDB announced a number of new updates targeting its managed database as a service that runs on AWS, Google Cloud Platform and Microsoft Azure: MongoDB Atlas, and its serverless platform MongoDB Stitch. The MongoDB Atlas updates include new high-throughput clusters for bringing real-time workload processing to new or existing apps, and support for cross-region VPC peering to enable the communication of data clusters and customers’ VPC resources through private networking. MongoDB Stitch updates include Stitch Hosting for configuring, hosting and deploying an apps web assets as well as an AWS connector for teams to run their MongoDB databases with upstream or downstream cloud services. Software AG revealed a next-generation cloud solution at the conference designed to build, test, deploy and manage simple to complex, cloud-enabled enterprise and IoT apps. Software AG Cloud will feature ARIS Cloud, Alfabet Cloud, Cumulocity IoT Cloud, webMethods API Cloud, webMethods B2B Cloud, webMethods Dynamic APps Cloud and webMethods Integration Cloud. Graph analytics platform provider TigerGraph also announced a new cloud at the conference. TigerGraph is meant to give users a cost effective way to run scalable graph analytics in the cloud. The cloud will feature support for major cloud service providers, application starter kits, and easy installation. In order to accelerate application migration to the cloud, XebiaLabs has announced it will be supporting new AWS services. This new support includes the integration of the XebiaLabs DevOps Platform with AWS Service Catalog and support for AWS Fargate, Amazon Elastic Compute Cloud (Amazon EC2), Amazon Elastic Container Service (Amazon ECS), Amazon Elastic Container Service for Kubernetes (Amazon EKS), and other AWS services. According to the company, this will provide an easier path from traditional data centers to AWS. Onica released a new Internet of Things solution powered by AWS. According to the company, it takes rapid development and deployment of IoT apps. The solution features reference hardware, analytics and 11 AWS services such as AWS IoT Core, Greengrass, DynamoDB, Lambda and Kinesis. Dynatrace announced it will be expanding its platform to provide cloud visibility and contextual data ingestion into Amazon CloudWatch and AWS CloudTrail. “The addition of AWS metrics and events from the two services enriches the high-fidelity data that Dynatrace processes, further enhancing contextual problem identification and root cause analysis. Enterprises can enhance their enterprise cloud visibility within a single platform, get immediate answers, and shift the focus from troubleshooting to accelerating innovation and digital transformation,” the company wrote in its announcement. Operational intelligence provider is enabling its users to run OSIsoftPI System on AWS. According to the company, the PI Integrator for Business Analytics is designed to extracting, cleaning and transmitting data from PI systems. AWS Quick Starts for the PI System will provide cloud formation templates. Scripts references architectures and other technologies to get a functioning PI System on AWS. PagerDuty will now be providing AWS integrations for CloudWatch, GuardDuty, CloudTrail and personal health dashboard. “As you may expect from a company founded by former Amazon employees, PagerDuty has been helping AWS users automatically turn any signal into the right insight and action for years,” Andrew Marshall, director of product marketing for PagerDuty, wrote in a blog post. The company already provides integrations with CloudWatch Alarms, but this week’s announcement tackles events. CloudWatch Events provides a stream of system events and changes in AWS resources. Integration will enable the automation of digital operations based on a more robust set of AWS data, the company explained. The new integration with Amazon GuardDuty improves security ownership with automated response workflows and the ability to continuously monitor for any unwanted activity. Amazon’s Personal Health Dashboard can now take advantage of PagerDuty for ingesting data and automating how, when and where to take action. Lastly, Amazon CloudTrail integration will enable teams to collect AWS event history and use it for DevSecOps initiatives, the company explained. HERE Technologies, a provider of mapping and location platform services, announced a new set of location-based APIs and services are now available through the AWS Marketplace. The services are designed to provide developers with the necessary tools for creating location-aware apps. Some challenges the APIs and services addresses are fleet management, logistics and resource tracking, real-time, and multi-point and mode routing.